Are you an audio professional or musician concerned about or experiencing hearing loss? If you are, this is the meeting to attend to find out what new technology can do to help you in your working environment. Dr Chasin will present four clinical strategies and four new technologies which optimize hearing aids for music as well as for speech. These technologies are designed to circumvent some problems associated with the analog-to-digital conversion process- a major weak point with many modern hearing aids. Given the limitations of most modern digital hearing aids to handle the more intense inputs that are characteristic of many forms of music, there are a number of clinical strategies and technologies that an audiologist may use to alter the electro-acoustic characteristics of hearing aids that otherwise work quite well for their clientele for speech. Clinical strategy #1: Reduce the input to the hearing aid, and if necessary, increase the volume. If the input was reduced in volume (and then compensated for latter on in the circuitry with a volume control adjustment) this would be a better solution than the converse where the input is left high, and the volume control is reduced. This is like ducking under a low hanging A/D bridge. Clinical strategy #2: Removal of the hearing aid for music. A person who may require 30 dB of gain for the softer elements of speech may not require any gain for the commonly found more intense elements of music. Placing several layers of household tape over the hearing aid microphone(s) will serve to reduce the microphone sensitivity. The input is now less intense and in many cases will be within the optimal operating range of the A/D converter. If the musician has cochlear dead regions, changing a violin to a viola may resolve some of the playing difficulties for the musician. Technology #1: Analog compression prior to the A/D converter with digital expansion. In order to provide modern A/D converters with an appropriate signal level that is within its operating range, analog compression prior to the A/D converter is being used, coupled with digital expansion that maintains the original signal spectrum and level. Technology #2: Changing where the dynamic range of the A/D converter operates. There are now a number of technologies in the hearing aid industry that either “auto-ranges” the input to ensure that the input level is within the capability of the A/D converter, or it increases the dynamic range of the A/D converter to be optimized for the more intense inputs characteristics of music. There are essentially two approaches that are being used in the market and these will be reviewed. Recently some new digital platforms have been brought to the marketplace that utilize 20-24 bit technologies. These have the potential of providing sufficient head room such that the higher level inputs of music are not distorted at the front end of the hearing aid processing, and at the same time, seeks to minimize the noise floor of modern digital hearing aids. It is important to re-iterate that none of these technologies or clinical strategies are software based. The technologies are built in to the hearing aid and cannot be adjusted clinically. Software adjustments are not the approach that should be taken whenever music is a considered input to a hearing aid. There is a large parking lot immediately behind the restaurant, accessed off Bedford Road, which is to the west of the restaurant. 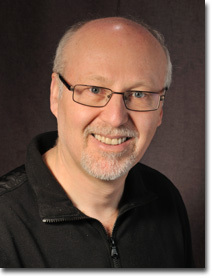 Dr. Marshall Chasin is Director of Audiology at the Musicians’ Clinics of Canada, Adjunct Professor at the University of Toronto (in Linguistics), and Associate Professor in the School of Communication Disorders and Sciences at Western University. He is the author of over 200 articles and 8 books including Musicians and the Prevention of Hearing Loss. He writes a monthly column in Hearing Review called Back to Basics. Dr. Chasin has been the recipient of many awards over the years including the 2012 Queen Elizabeth II Silver Jubilee Award and the 2017 Canada 150 Medal. He has developed a new TTS app called Temporary Hearing Loss Test app. And he is not as boring as this bio makes him sound!